We know young people have the power to solve the challenges we face in our world, but they are being sidelined. We are the agency that works with young people so they can lead in solving those challenges. Whether that means supporting communities to end child marriage or prevent HIV, we work with young people to change their lives and the lives of people in their communities. Our programmes are genuinely life-changing, but can’t do any of this without talented, creative individuals at every level of our organisation. We are seeking to recruit a qualified consultant to work with us to conduct strategy midline evaluation in 7 Tanzania Regions where Restless Development operates different youth projects since the launch of 2016-2021 Strategy. Those regions are Morogoro, Dodoma, Lindi, Kilimanjaro, Dar es salaam, Pwani, Iringa and Njombe. The purpose of the evaluation is to review and analyse Restless Development approaches, strategies and interventions for relevance, effectiveness, efficiency, sustainability and impact in the areas where Restless Development operates. To evaluate results attained, achievement of strategy objectives, and impacts specifically on young people, alumni, young leaders, and other stakeholders. The consultant also will design the midline study; prepare tools as per strategy indicators, analyzing information collected, midline report preparation and setting up of live database to capture strategy progress against targets. For more detailed information please download the Terms of Reference below. Interested candidates are to submit a CV, Cover Letter, well detailed Evaluation Technical and financial proposals, outlining their suitability for the role and motivation for applying. Shortlisted applicants will be invited to interview and asked to submit 2–3 examples of similar pieces of work. Please send applications to [email protected].org by 28th April, 2019. 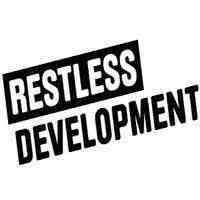 RESTLESS DEVELOPMENT ARE AN EQUAL OPPORTUNITIES EMPLOYER!